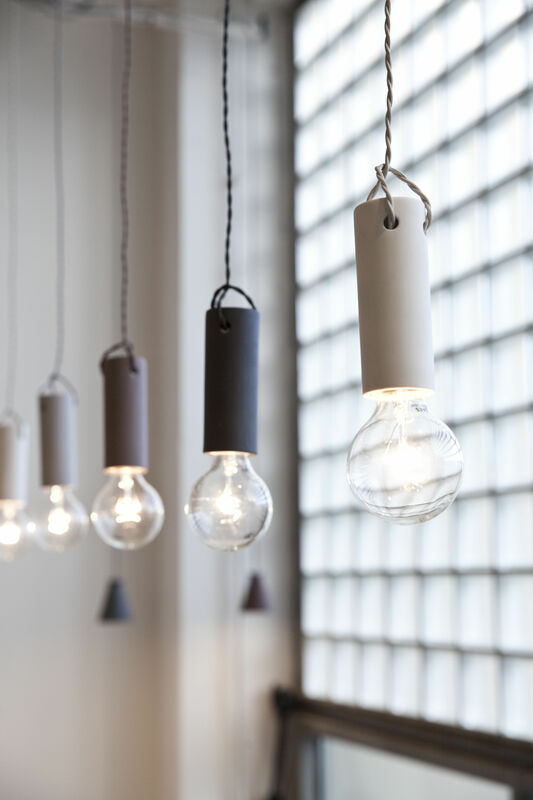 The concrete pendant light consists of a cast concrete cylinder & fabric-covered power cord. Wrk-shp is a design studio-based in Los Angeles. They are a multi-disciplinary duo – with interests ranging from tiny mundane objects to large scale buildings and everything in between. Their clothing line is designed using textiles from Japan and produced in California. Their furniture designs and home products are made by local, highly-skilled crafts-people all made proudly in USA. A simple, yet truly innovative design piece. The mix of all the materials looks fabulous together. 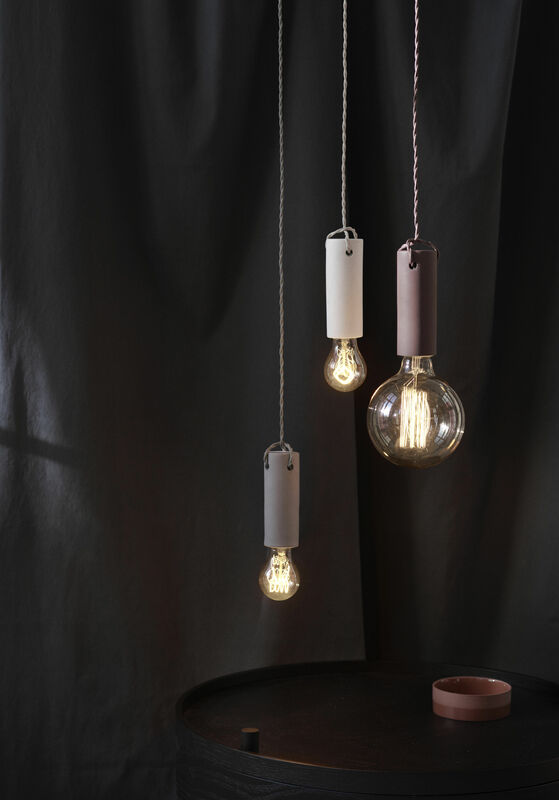 The wires are supplied in many colours – sufficiently long to plug into a wall outlet, hook and swing down from the ceiling. It is moved around really easily, which makes it very useful. 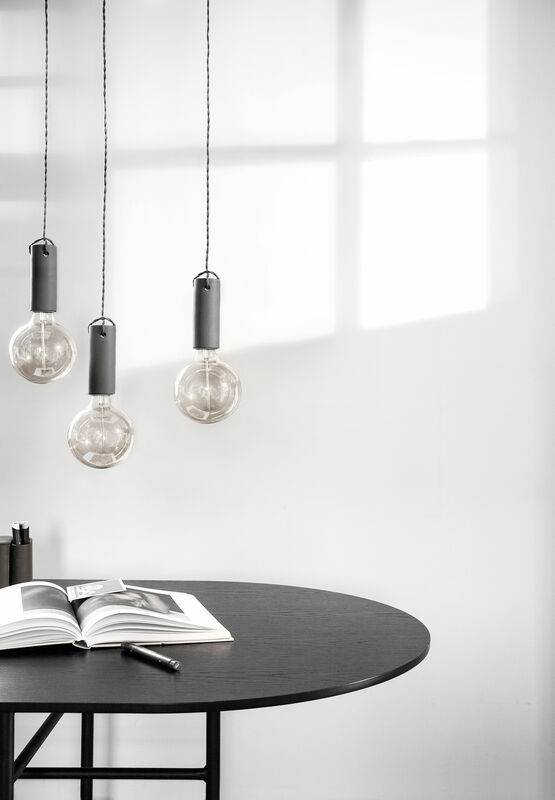 The Tied Pendant looks really nice with different types of bulbs : and a cluster of pendants looks really great.